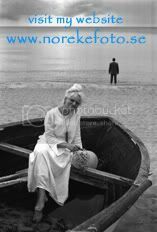 I will be one of 8 photographers sharing an exhibit at the gallery “Valfisken” (the whale) in Simrishanm 22-25 April, 2011 as part of the Easter art show season. The exhibit will be open from 10 AM to 6 PM every day. Please help me spread the word. If you have someplace appropriate to hang a flyer, you can print one from the link below. Vad säger tusen ord? Använd bilder till ditt företags fördel! I’ll be holding a lecture on the use of pictures in marketing for a group of small business owners in Lulnd on March 14. For those of you who don’t read Swedish, sorry, but this isn’t for you. 17 februari, 2011 i Sjöbo, sponsrad av KvinNet. Föranmälan till info@kvinnet.se uppskattas. I’ll be holding a lecture on Internet Marketing for my network of small business owners (and anyone else who is interested) in Sjöbo on February 17. For those of you who don’t read Swedish, sorry, but this isn’t for you anyhow.